This training pad package includes one set of training pads and a connector wire assembly in a sealed pouch. 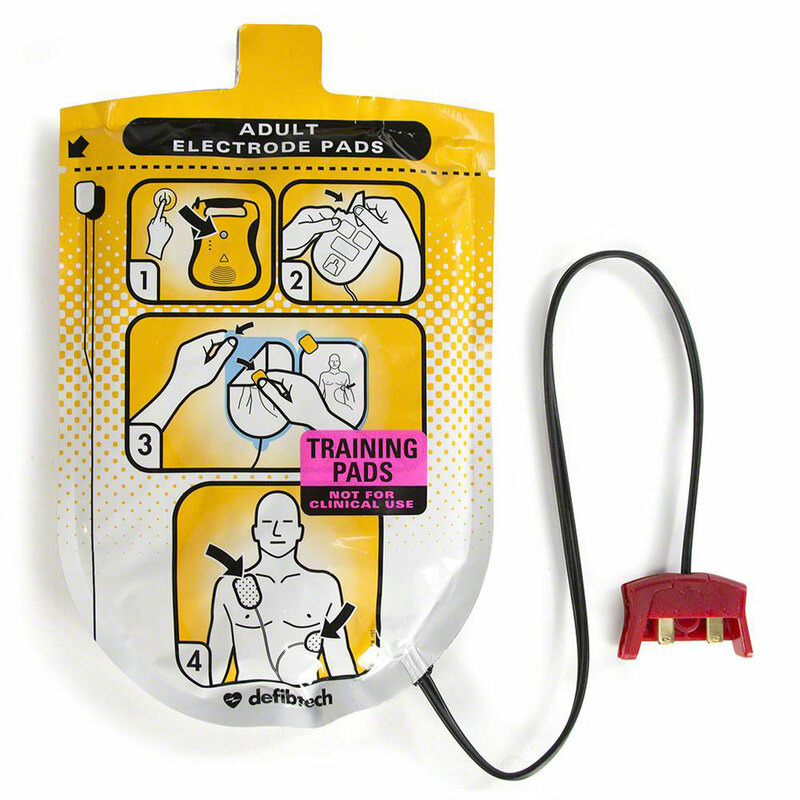 These training pads, along with a training battery pack and training software, enable the Lifeline™ AED or standalone trainer to be used for instructional purposes. 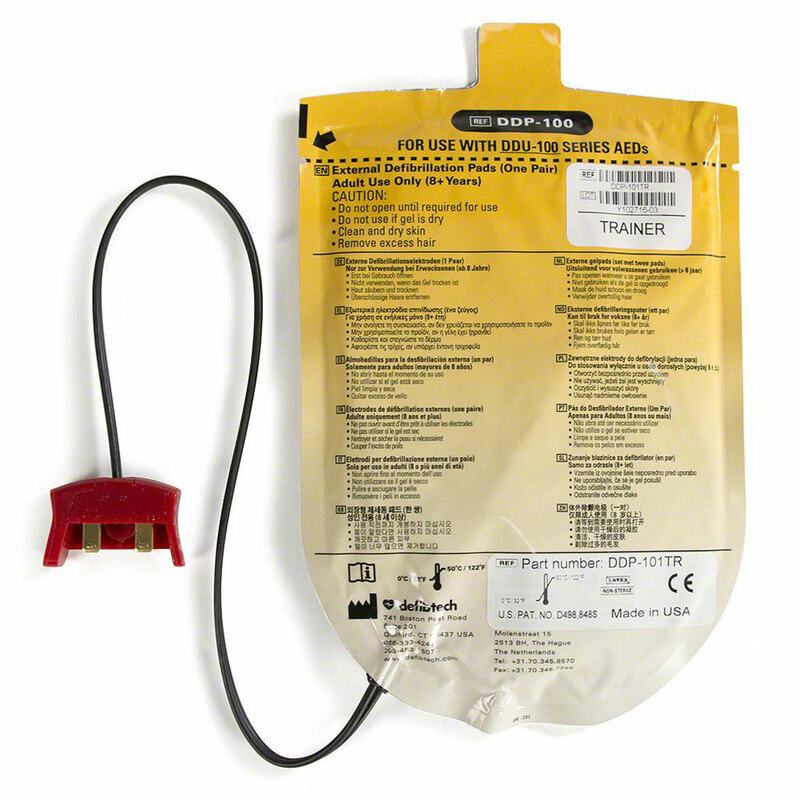 The training pads are semi-adhesive, allowing for multiple uses and are non-functional so they cannot be used to deliver a defibrillation shock. The pads themselves can be replaced with DDP-105TR pads, which attach to the connector wire assembly with Velcro.